Please send me more information on Berkeley Hall at, Bluffton Thank you. Strictly private and residential, Berkley Hall is comprised of 354 homesites, accommodating a wide range of home designs, sizes and prices. Charleston-style cottages are the predominant style which reflects the country charm of the Lowcountry area. There are no condominium or villa complexes in Berkley Hall. Home buyers can find spacious estate homes with lagoon, river or golf course views. If you're an avid boater, a select group of homes front the Okatie River and come with private boat dockage and direct deep-water access. Berkeley Hall is comprised of 770 Equity Memberships. The total includes 554 Property Owners and 216 Non-Property Owner Memberships. Both groups share the same rights and benefits. Property owner memberships transfer with the resale of property. There is a Transfer Tee and regular annual POA fees. The par-72, 7,254-yard South Course offers a classic parkland golf experience, with a canopy of mature forest and a backdrop of the meandering Okatie River. Berkley Hall is also home to the The Players Amateur Golf Tournament, presented by Nautica. Clubhouse, Tennis and Fitness – the Jeffersonian-style clubhouse, with over 45,000 sq. feet, features six distinctive dining experiences from fine dining to casual. The Spa and Fitness Center is a 14,500 Sq. Ft. facility that sets the standard in equipment and services. The facility includes indoor and outdoor pools and whirlpool, cardiovascular strength equipment, sauna and steam rooms, spa treatment areas, and a specialty coffee and juice bar. Adjacent to the center are six tennis courts, a children’s playground, basketball courts and a sand volleyball court. Ten miles of trails and pathways thread throughout the community, giving walkers and cyclists plenty of opportunity to enjoy the Lowcountry atmosphere. A river park and a community dock are located on the pristine Okatie River. Take a ride down-river on the Berkeley Hall pontoon boat with friends, and return to a dockside shrimp boil or oyster roast. There is a Member Services Staff that provides resort-style support to the community. They can arrange for cruises and charter fishing trips, sightseeing excursions, and other special activities. The River Park is the community gathering place for family, friends and guests. Take a sunset cruise along the Okatie River, kayak the tides, and fish or crab from the community dock. The golf Learning Center is one of the social hubs of Berkeley Hall. The 30 acre Learning Center is a product of extensive research and brainstorming by a panel of golf experts. The Learning Center facilities include four climate controlled hitting bays, a “Super Bay” with four video cameras and flat screen TV’s, a short game complex with four large practice greens and the comfortable Fazio Room where players can relax, play cards or watch their favorite sporting event on the large flat screen TV. Berkeley Hall, one of America’s top-rated residential golf communities, is located off Hwy 278 in Bluffton, SC, in the heart of the South Carolina Lowcountry. Nestled along the banks of the Okatie River, seven miles west of the bridge to Hilton Head Island, Berkley Hall is the only private residential community in the world boasting two Tom Fazio-designed core golf courses. Residents enjoy a private world of 870-acres with a casual, inviting lifestyle and a pure traditional golf experience with a grand 45,000 sq., ft., Jeffersonian Clubhouse that sets the standard for all private gated communities. With 24-hour gated security, Berkley Hall is located within minutes of shopping, entertainment, medical facilities, churches, schools and restaurants. How many active real estate properties are currently listed for sale in Berkeley Hall , Bluffton? Currently there are 14 listed for sale. Are there any foreclosures currently for sale in Berkeley Hall , Bluffton? No, currently there are no active listings in Berkeley Hall with a foreclosure status. 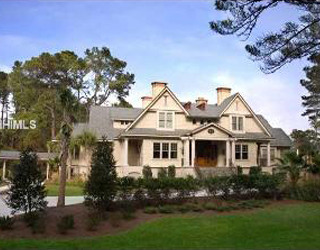 Are there any short sales currently for sale in Berkeley Hall, Bluffton? No, currently there are no active listings in Berkeley Hall with a short sales status. What is the price range and average price for residential homes in Berkeley Hall ? The price range of the 13 listed homes for sale in Berkeley Hall is between 359K and 1,995K. The average price is 834K. Click here to view all residential home listings in Berkeley Hall. What is the price range and average price for residential land and lots in Berkeley Hall ? The price range of the 1 listed land and lots for sale in Berkeley Hall is between 10K and 10K. The average price is 10K. 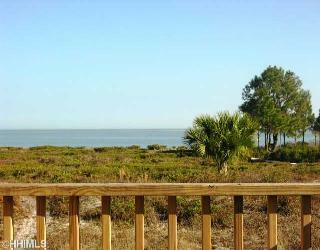 Click here to view all residential land and lots listings in Berkeley Hall. What amenities a buyer should expect to find in Berkeley Hall ? 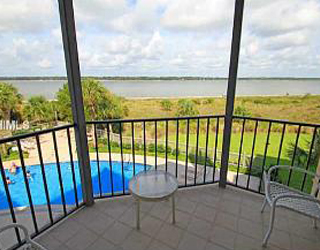 What kind of views a buyer should expect to find in Berkeley Hall ?